A Monday morning in Argostoli, Kefalonia! Richard Dixon (richarddixon4x4@yahoo.com) took delivery of our 17.5 kilo oil tins – we are as nervous as kittens. It is a bit like seeing your child off on his/her first big trip from school. Our Walnut Tree olive oil was going on a big journey, across seas and across a continent. It is a big trip! Oooooer! Apart from a slight mix-up because Richard took an earlier ferry than originally planned and our daughter unable to do a pick up at 5am (children asleep in bed obviously), the journey and delivery both went to plan. The oil was ready to be brought down to Devon for bottling, labelling and ….. selling. 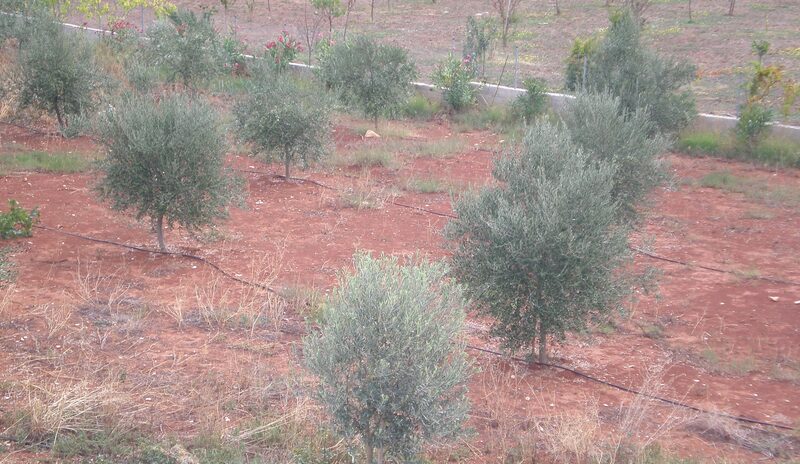 Seven olive trees were planted before we bought the villa. 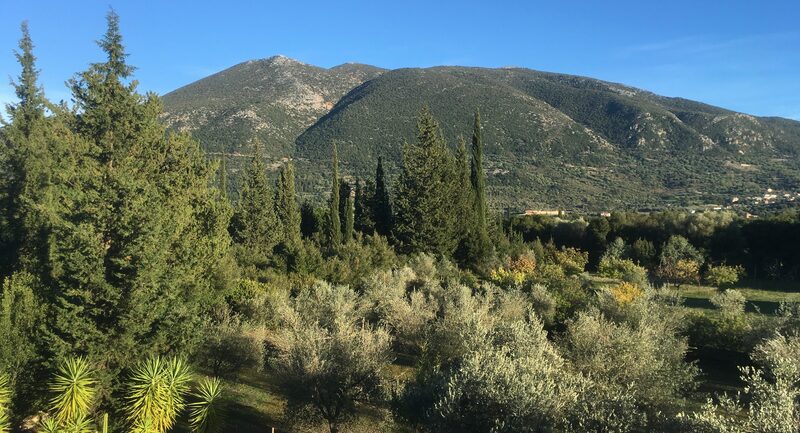 In the autumn of 2006, the bare site was landscaped and new olives planted in the lower area including some modern disease resistant varieties and six eating olive trees. 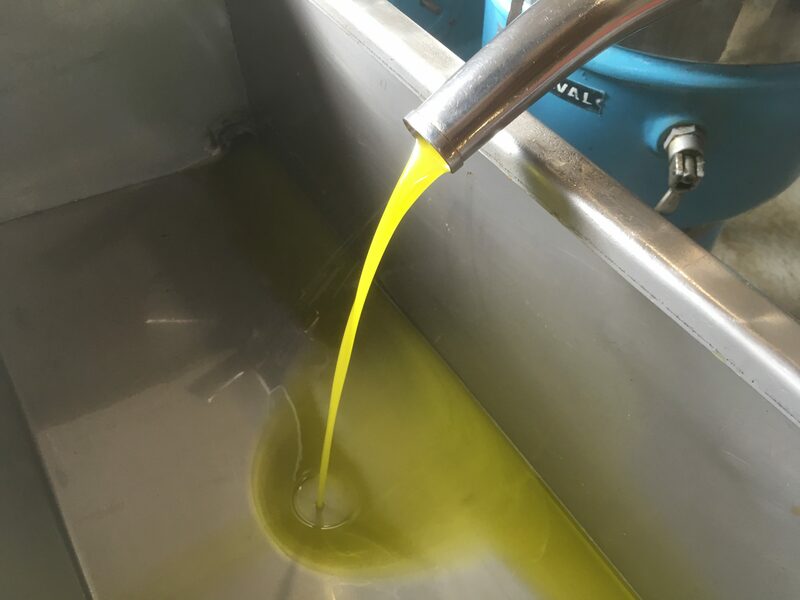 We first harvested olives in 2008 feeling like kings when the result came to 20 litres of oil. Since then we have had intermittent harvest years with 2017 being our most successful to date. Our total last year was about 500 kilos and a yield of 80 litres. Picking, Pressing and ……………….. tasting! 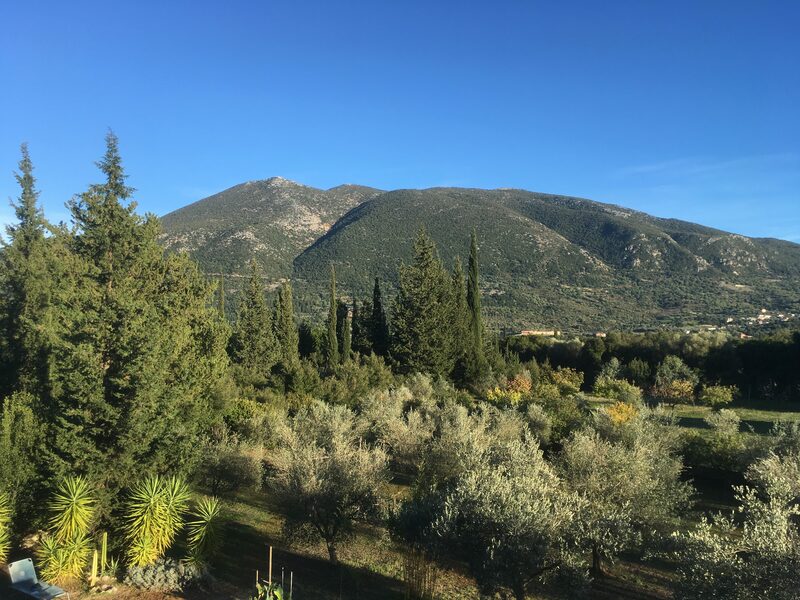 We pick our olives ourselves. 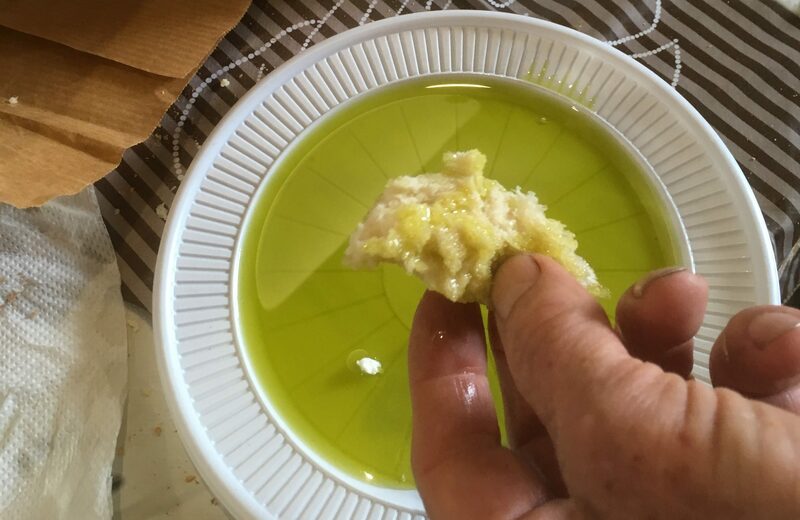 The oil is traditionally pressed locally in Kefalonia. The olives are ONLY from our own olives. 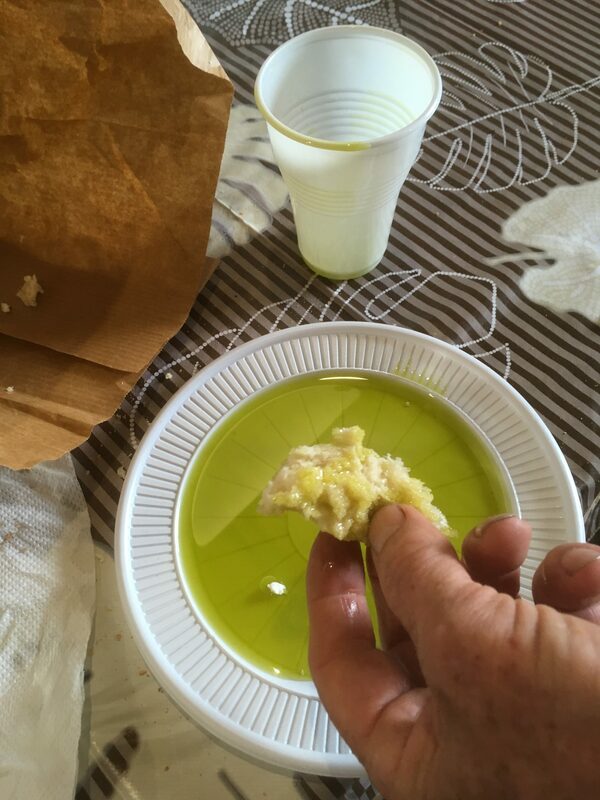 When you taste our olive oil, you will appreciate the colour (green) and the taste (grassy and fresh)!